First, some compliments. I am pleased to see so many IBMers comment on my post where I said we need more Apple/Google/Amazon moments, less IBM ones. Good on them for being proud employees of an iconic company celebrating its hundredth birthday. One even called me “pathologically ridiculous” – I presume that is a clinical state I was previously unaware of. But they did not address the basic question in my post. How much of IBM’s revenues comes from new products innovated in the last 5 years? Because that is the benchmark that Apple and Google and Amazon blow IBM away on as what I consider a legitimate claim to innovation. The author above asks “What about all of the other (IBM) brands? 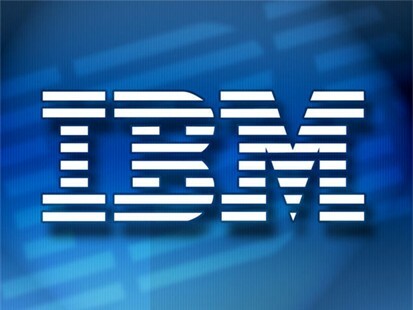 Tivoli, WebSphere, DB2, Rational?” and by naming those brands just reinforces my point IBM is old-in-the-tooth. If Pharma patents applied to software, there would be generic versions of those by now – we call them Open source in our industry. IBM prides itself as supporting and leveraging Open source but cordons it off from its own proprietary and profitable products. Here’s another benchmark for innovation – for the $ 100 billion (give or take) IBM charges its customers every year, how come I cannot find more reasons to post about them on my daily innovation blog, New Florence? (Last week I posted one on their massive data drive from its Almaden Labs, but for that much customer investment there should be at least one a week innovation I could profile and trust me I scan every announcement their PR folks send me). The reality is IBM in the last decade has transitioned away from innovator to integrator. Even in its Smarter Planet projects that it heavily markets as innovative, very little of technology is IBM’s, it is usually just the service integrator. Nothing wrong in that except even with the largest services revenue in the world, it has less than 10% market share in the global services marketplace. We have too many integrators out there. If IBM was truly innovative it would be automating and commoditizing much of that labor – its own and that of the rest of the market. What I find disconcerting is that even at the top IBM confuses its nice margins from milking old software and old data centers and old partners like SAP as “innovation”. This WSJ article I should have written about a while ago summarizes that state of delusion. Talk about a pot-kettle mindset.